The Domestic Violence Attorney in Orange County CA elaborates on the following questions – What is a restraining order? A restraining order is an order that protects you from an individual who is threatening, bothering, or harassing you. 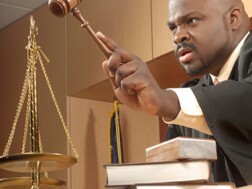 A restraining order must be requested and obtained by a judge in court. Individuals can seek a restraining order if they feel they are in danger. In order for the judge to grant you a restraining order your claims must have merit. It is beneficial to have a witness or some form of proof to show in court. Restraining orders prohibit the individual from coming within close proximity of where you live or work. If you are unsure if you have enough to substantiate a case for a restraining order to be granted please call and speak with a family law attorney. 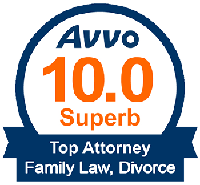 Family law attorneys can assist you throughout the process. They will answer any questions that you have or clarify any issues you may have about family law. Various situations may merit that a restraining order be granted. For instance, examples of when a restraining order may be needed are if someone is threatening your life, verbally, or physically. Furthermore, if the individual is following you, calling excessively, or if the person does not leave you alone after repeated requests these may also be grounds for obtaining a restraining order against the individual. In addition, if an individual is stalking you and following you around you may want to inquire regarding obtaining a restraining order against that person. If you are ready to take the next steps toward hiring an attorney to assist you with obtaining a restraining order, please call today. For further information regarding family law and restraining orders please contact your local family attorneys. Please call Yanez and Associates at 714-971-8000 for your free initial consultation. We look forward to assisting you with your family law matter! How Do I Request Temporary Orders?